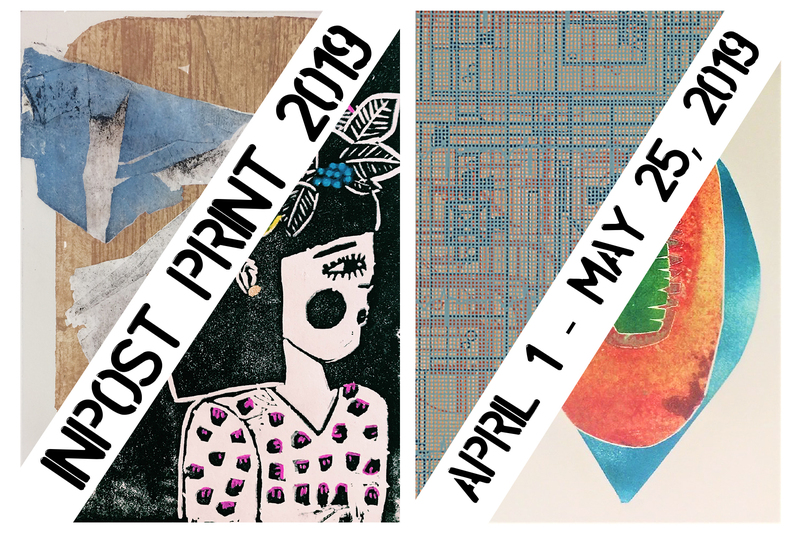 The Inpost Artspace is pleased to announce Inpost Print 2019. 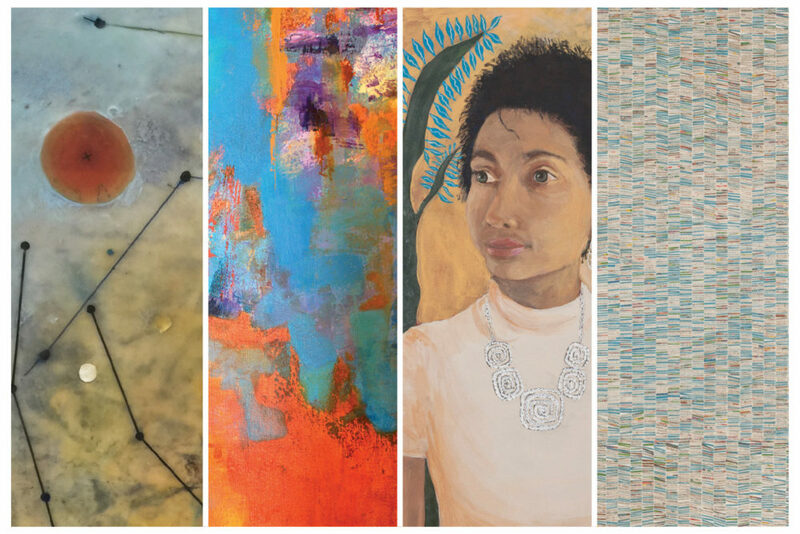 Exhibiting artists are Christine Adams, Eryn Bathke, Stefan Batista, Diana Cervantes, Elena Carrasco, Linda Davidson, Jessica Gross, Calliandra Hermanson, Julianna Kirwin, Kathleen Keaveny, Louis Ocepek, Ben Shoenburg, Larry Schulte, and Robbie Sugg. Printmaking techniques include Monotype, Serigraphy, Lithography, Woodcut, Collograph, Etching, Relief and Chin Collé. The Inpost Artspace is a nonprofit venue housed with the Outpost Performance Space, which hosts internationally recognized musicians. We have been presenting visual art exhibits since 1996. The duality of the space increases the visibility of the artwork to a broader audience and creates dialogue between visual and performing arts communities. Exhibition may be viewed during the reception, Outpost performances, box office hours, (M-F 2-5:30pm), and by appointment. Gallery is FREE of charge. The Inpost Artspace is pleased to announce Adjacent Possible, a selection of monotypes created while in residence at Vermont Studio Center in Johnson, Vermont by Isadora Stowe. 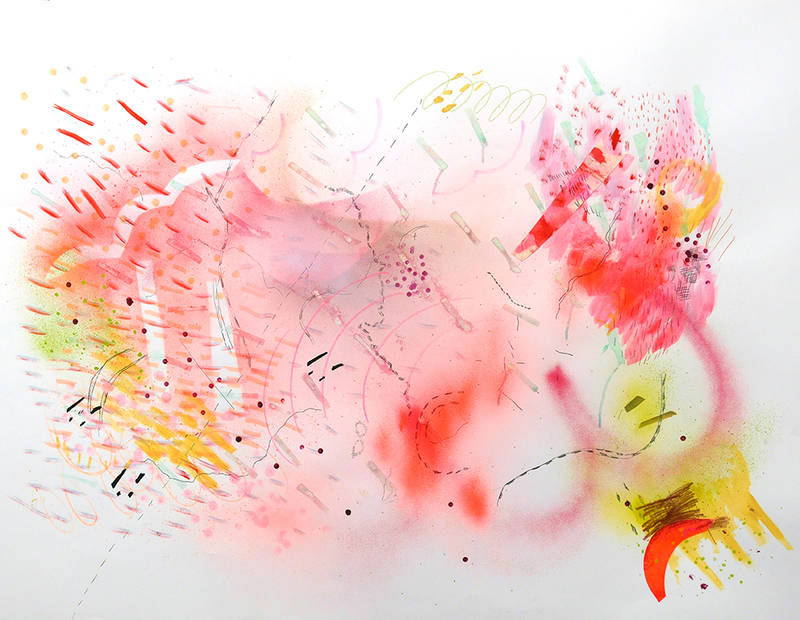 Additionally, each monotype is layered with spray-paint, stencils, collage and abstracted topographical map drawings. The maps are connected and separated areas of the southwest borders of New Mexico, Texas and Mexico. Stowe’s work explores identity and space construction, real or imagined. She is interested in the ideas of place and cultural constructions and states, “maps are established to show us where we are, but when made ambiguous, a sense of direction can be lost and questions about our own constructions of where and who we are surface”. The title of the show, Adjacent Possible,references Steven Johnson’s description in which he illuminates the adjacent possible as “the kind of future, hovering on the edges of the present state of things, mapped in which the present can reinvent itself…”. The Inpost Artspace is pleased to announce Outpost Members Biennial Exhibition. We will be presenting contemporary regional artists working in 2D mediums. Artists include Virginia Baich, Michael Bell, Matthew Bollinger, Garrick Bowra, Jill Christian, Sharon Eldridge, Linda Holland, Rudy Miera, Wayne Mikosz, Bill Mohr, Louis Ocepek, Bomi Parakh, and Riha Rothberg. The exhibition will feature a curated selection of the Outpost Member’s many creative individuals and highlight the collective artistic wealth that exists amongst its diverse audience. The Inpost Artspace is pleased to announce Night Navigation, a selection of inter-connected artworks from 2013 to the present, by Derek Chan. The artworks in Night Navigation look to celestial phenomena as a guiding force during uncertain times. The exhibition features recent acrylic paintings on panel inspired by rare cosmic and geological events amidst the speed and rate of change of modern life. Also included, are three mixed-media banner pieces on amate bark paper from 2013 and updated in 2018. These banners draw influence from the Dresden Codex; the oldest surviving book of the Americas. Within the book, the pre-Columbian Maya peoples recorded their observations of lunar phenomena, planetary cycles and other astronomical occurrences. These observations were aided by the Maya peoples fully developed written and numerical system. It is this numerical system in which Chan’s banner pieces reference and re-interpret through modern day glyphs. A recent element in his work is the symbol of the labyrinth. The act of following or creating a labyrinth is thought by some to be a balancing and healing practice. The exhibition will also include an interactive element and short animation. 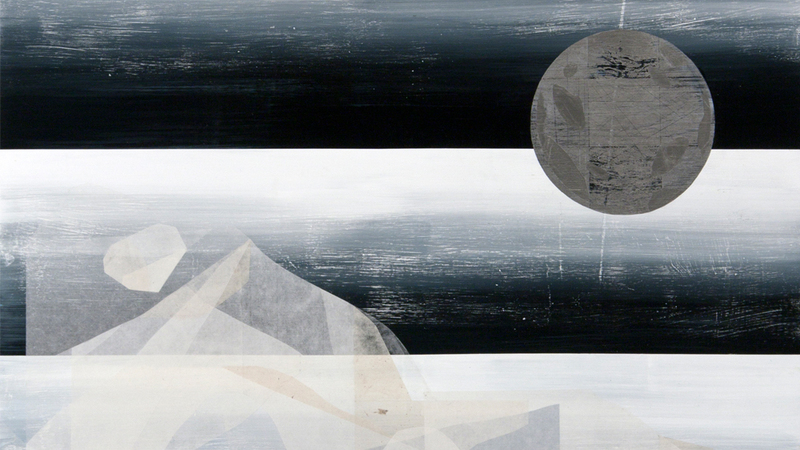 Derek is a visual artist based in Santa Fe, New Mexico. He was born in Berkeley, California. He received a BA from the University of California, Los Angeles and later an MFA from the University of Illinois, Chicago. Participating as a Monastic-monk, Derek worked in collaboration with Chicago artist and urban planner Theaster Gates, for Gates’ contribution to the 2010 Whitney Biennial. In 2013, Derek participated in the Roswell Artist-in-Residence Program. His work has been exhibited at Museum of Contemporary Art Chicago, Carrie Secrist Gallery, the Roswell Museum and Art Center, the Center for Contemporary Arts, Santa Fe and David Richard Gallery among others. In 2018, he will have work on view in the Living Architecture exhibition at 6018 North, Chicago. Derek is adjunct instructor of drawing at the University of New Mexico for the Fall 2018 semester. 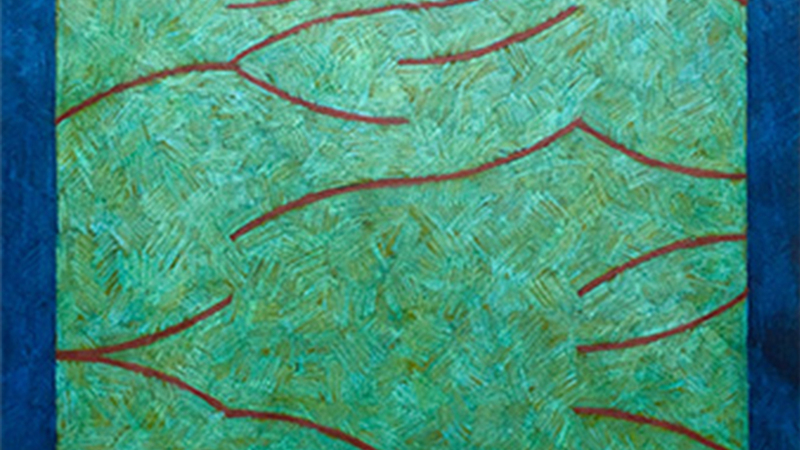 The Inpost Artspace opens the Fall season with an exhibit of new work by Titus O’Brien. With these recent drawings, O’Brien constructs luminous designs overlaying mark and color reminiscent of arbors, mazes, and arabesque patterns. He states, “The drawings in this exhibition were conceived as studies for paintings intended to be called “Beatitudes.” The drawing process often has a heightened sense of investigation. Here, the concrete investigation is into how a series of game-like systems, shaped by an engaged intuition, are used to deploy line and color across a two-dimensional surface to compelling effect. The telos – the direction or meaning – of this labor is the desire to produce (both for the artist and viewer) a shift in attention that is in some way uplifting and settling, enlivening and reassuring. In other words, to express something true and good.” FREE! 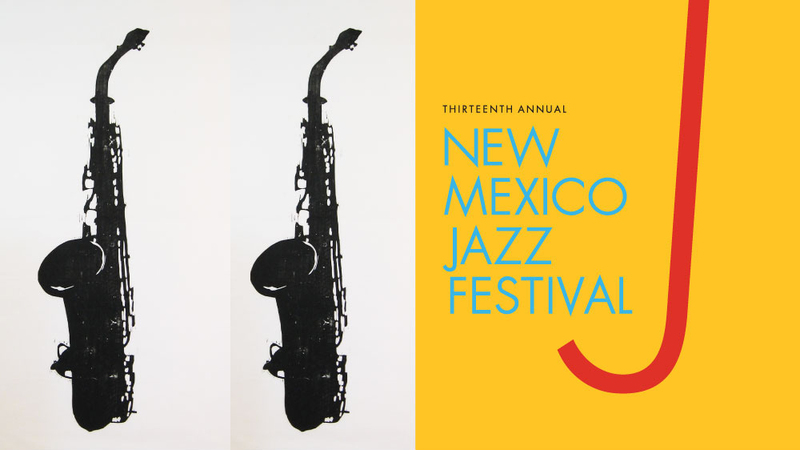 The Inpost Artspace announces its summer exhibit, Musicians Making Art, which is presented in conjunction with the 13th Annual New Mexico Jazz Festival. This exhibit connects the endeavors of music-making with those of creating visual art. The show features a wide range of styles and subject matter, including drawing, painting, and sculptural objects and highlights another side of our gifted New Mexico based music practitioners. Featured, is work by bassists,Terry Bluhm, Christine Nelson & Susan Holmes; drummer, Cal Haines; brass players, Mark Weaver & Jonathan Baldwin; guitarist/vocalists, Claudio Tolouse, Armando Ortega & Mark Weber, and more. Jon Pearson is an artist from Des Moines Iowa who has lived in New Mexico for the last two years. His work recently has explored the dreamy terrains of the subconscious. Through recent solo shows such as Dream Chatter and Sandbox Therapy his visual work has developed to include abstracted landscapes derived from high desert mountain hikes and incorporates dream imagery and images from the subconscious mind. His recent body of work Theta Scapes is made in such a way to allow the imagination to implant in each painting a series of discoveries. Through layers and detail and continued viewing of each piece a narrative can be derived and related back to the title of each work. Exhibition may be viewed during the reception, Outpost performances, box office hours, (M-F 2-5:30pm), and by appointment. The ABQ Print Club will host a portfolio exchange and exhibition at the Outpost Performance Space. The exhibit will feature original artwork by UNM Printmaking undergraduates and graduates, Tamarind Institute students, and local artists who use traditional processes such as woodcut, lithography, etching, and serigraphy. The exhibit will display the breath of editions that the artists print for the exchange. Developed from a daily drawing practice, With Sprinkles is an adaptation from “The Best Comic Book Ever,” an ongoing body of work from Albuquerque artist Kate Wood. Stricken with a chronic disease, Wood undertook a daily drawing practice to help pass the time while receiving medical attention, and as a way to accept her time spent in treatment. Compiled into 8 sketchbooks, to date, Wood will complete her 500th drawing on January 28th, 2018, coincidentally the day these drawings are installed at the Inpost Artspace. Her practice has developed into a sustained narrative that draws upon a large cast of colorful and amorphous creatures, functioning as symbols and allegory for greater personal themes of health and loss. The pieces in this exhibition focus on a few of the over 200 characters she has been developing, allowing them to explore a more specific narrative than that of her sketchbooks. Kate Wood is an artist and a farmer, currently working in Albuquerque, New Mexico. She has spent the past decade working in organic agriculture on the east coast, and was most recently the owner/operator of a small farm business in rural Illinois. Chronic health issues forced her to leave her chosen career, but brought her back to a daily art practice. Kate is deeply inspired and influenced by storytelling, folklore, comic books, mythology, and pattern. It Sounds So Simple features the photographic work of dedicated students from Albuquerque Public School’s La Cueva High School. Students are presenting unique artworks in response to an audio soundbite with the phrase “It Sounds So Simple.” The artists are all La Cueva juniors and seniors, and have studied photography for two to four years. Works will include analog, digital, and alternative-process photography. This collaborative exhibit will highlight the love for image-making fostered under the tutelage of Tamara Zibners, UNM Photography MFA graduate and La Cueva photo teacher. Exhibiting Artists: Maged Alaini, Emma Allen, Grace Bernhart, Josh Dekleva, Ethan Johnson, Zachary Marshall, Sofia Palacios, Shaun Paques, Sophia Pedroncelli, Ava Pressley, Neha Rajput, Ariana Santistevan, Hannah Schum, Bronwyn Scott, and Reece Wigginsal.